What is a Dutch Harness Horse? 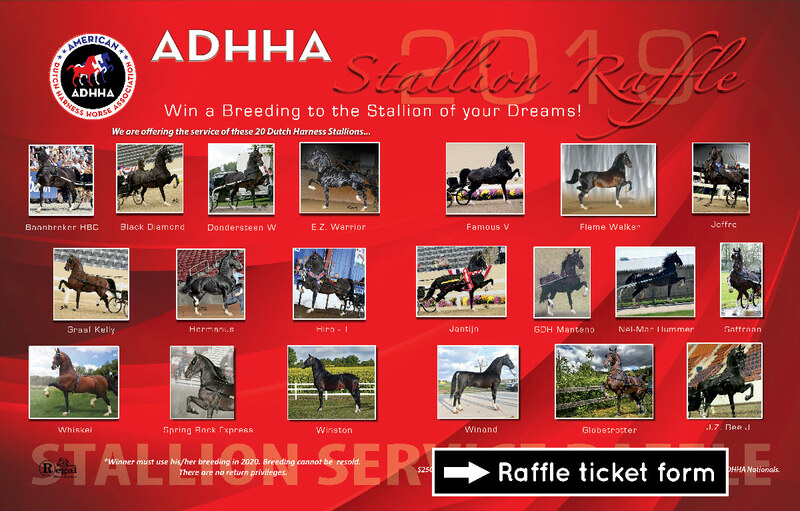 50% of the proceeds will be used for promotion and education for the breed, such as taking the updated ADHHA booth to numerous events throughout the year. The remaining 50% will go towards supporting the Yearling and 2-year-old Futurity classes at the ADHHA Nationals.